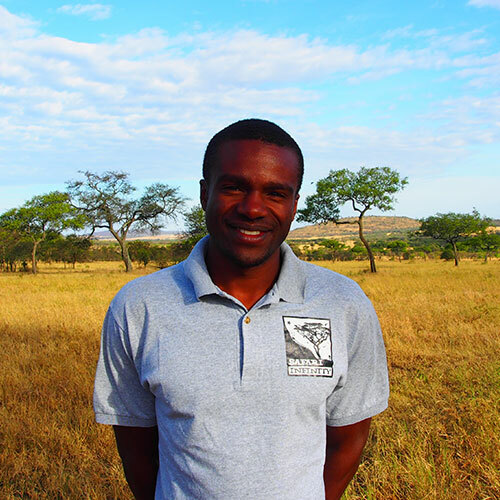 With a passion for wildlife and conservation, Simon was trained as a Safari Guide, as well as a Spanish Translator Guide, and has worked extensively in Tanzania and Kenya since 2006. Known to be extremely detailed-oriented, responsible, passionate about his work and constantly enriching his knowledge of the fauna and flora of his country, Simon is an exceptional guide and individual in the tourism industry. He established Safari Infinity in hopes of creating a unique Safari experience for his guests with extraordinary, unparalleled customer service and this has been the Company’s goal and mission from the beginning.